At Bennett's Removals we understand that putting your possessions into storage can be stressful and disruptive to your daily life. In partnership with Atlantic Secure Self-storage we provide comprehensive short and long-term storage solutions to meet all of your requirements, whether you need to store the entire contents of your house, office or just a few items. With our flexible system we are able to offer a complete secure storage service for everything from full and part household contents, to office furniture and documentation. Could you do with extra space to store seasonal items – skis, sails, surfboards or kayaks? Want somewhere to temporarily store furniture while redecorating or moving house? Need longer term storage for your excess furniture when you downsize to a smaller home? 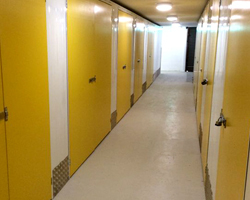 Atlantic Secure Self Storage provide a flexible purpose-built, secure storage solution, help you pack and unpack your goods as well as offer a Pick-up Service to collect your items for storage or deliver them to you. When you store with Atlantic Secure Self Storage, we give you your own lock and key so you can freely access your belongings whenever necessary. There are no charges to access your goods – you have easy access to your unit. Don't pay rent for a warehouse or for extra retail space, with flexible spaces, large walk-ins with storage space, we can store your commercial goods for a fraction of the cost. If you have an online business and store with us, we can receive deliveries and even take goods in on your behalf as needed. Units can be combined for larger space requirements. Our facility is 100% weatherproof and fire alarmed. Convenient location, just outside Cardiff & M4. You're fully protected, we take pride in offering you the most robust, state of the art technology to protect your stored items. 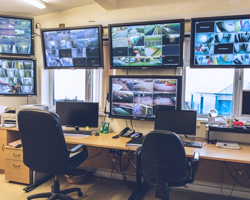 Our self storage units are monitored by 24 hour CCTV. So, when you store with us, you can be certain your goods will stay in exactly the same condition in which you left them. 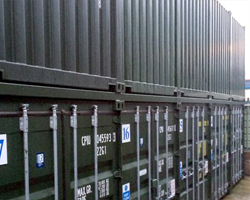 We have container spaces for stock, documents and office furniture, for seasonal decorations and samples, for theatrical props and campaign materials – for all your business needs. You are fully protected, we take pride in offering you the most robust, state of the art technology to protect your stored items. 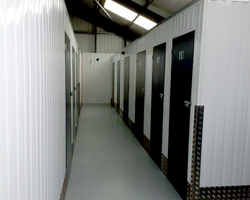 Our self storage units are monitored by 24 hour CCTV. So, when you store with us, you can be certain your goods will stay in exactly the same condition in which you left them.